Having our home broken into is something that none of us wants to deal with. The trauma of having your valued possessions stolen and your home invaded is something you can help to prevent as long as you take the right precautions. In order to help you make your home more secure, below are some of the biggest mistakes people make when it comes to home security. This is a very common mistake that people make. Leaving your car keys close to your front door or near a window is a huge invitation for opportunist thieves. A lot of car crime is carried out by thieves who hooks the keys through a person’s letterbox. This of course makes it much easier to steal a car since they don’t even have to break in. 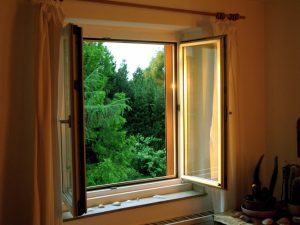 Leaving windows open is another very common mistake that people make when it comes to home security. Your doors and windows are the main entry points for burglars and an open window, especially a large window that’s big enough for a person to easily fit through, will certainly make your home much more likely to be targeted by burglars. Investing in a secure front door is always recommended when you want to reduce the risk of burglary. If your front door isn’t made from solid wood or it’s on a weak frame then you should seriously consider having it replaced. When burglars are looking for homes to target, they often look for ones that have very weak looking front doors that look like they’d be easy to pry open. Having a security alarm for your home is a must if you want to avoid it being broken into. 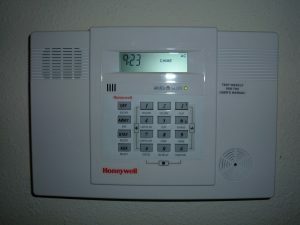 There are two main types of home security alarms – remote signalling alarms and audible only alarms; also known as Type A and Type B alarms respectively. Remote signalling alarms are the more expensive of the two but are also provide better protection for your home since the policy will be alerted automatically when they’re triggered. Audible only alarms, as the name would suggest, only emit an audible siren when triggered and somebody will need to call the police to have them come out. Social media is everywhere now and it certainly comes with some drawbacks as well as its perks. One big mistake that has led to many burglaries is people advertising the fact that they’re going on holiday on platforms such as Facebook and Twitter. This is never a good idea since there are burglars who will specifically seek out these types of posts.